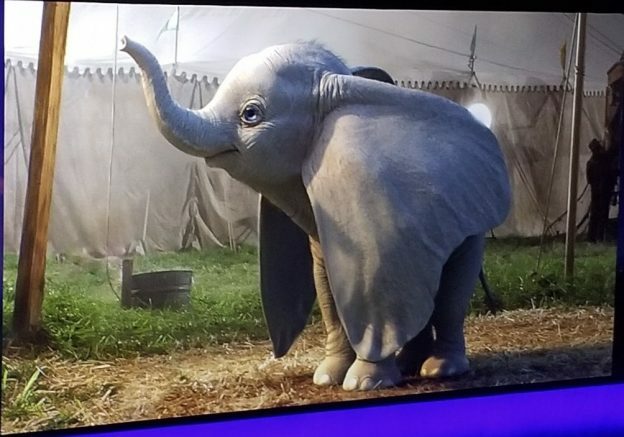 During their CinemaCon presentation, Disney unveiled some footage from Tim Burton’s upcoming live-action retelling of Dumbo as well as a temporary banner and first look photo. 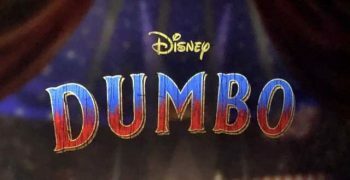 Dumbo centers on a former circus star named Holt, played by Colin Farrell, who’s life is turned upside down when he returns home from the war. Holt, a widowed father of two kids, played by newcomers Nico Parker and Finley Hobbins, rejoins a troupe led by Max Medici (Danny DeVito), he becomes the carer of a newborn elephant who is the laughing stock of the circus because of his enormous ears. When word gets out that Dumbo can fly, V.A. Vandevere (Michael Keaton) and Colette Marchant (Eva Green) take it upon themselves to make the little elephant a star/exploit him. The footage included incredible circus moments, with a Burton-esque quirkiness, showcasing the exquisite attire by Oscar-winning costume designer Colleen Atwood. Everything focused on Dumbo’s flight, with circus performers and spectators looking up with amazed expressions. DeVito is already powerful as the big-top ringmaster. Roshan Seth, Sharon Rooney, and Douglas Reith have also joined the cast in undisclosed roles. DeObia Oparei will play Rongo. 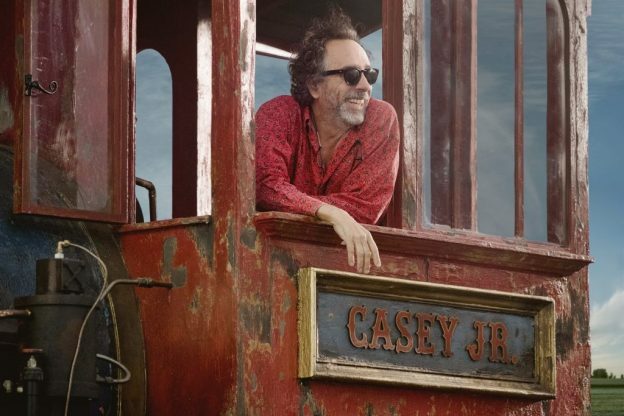 Ehren Kruger (the Transformers sequels) wrote the screenplay and will produce alongside Derek Frey (Miss Peregrine’s Home for Peculiar Children, Frankenweenie), Katterli Frauenfelder (Miss Peregrine’s Home for Peculiar Children, Big Eyes) and Justin Springer (Tron: Legacy). 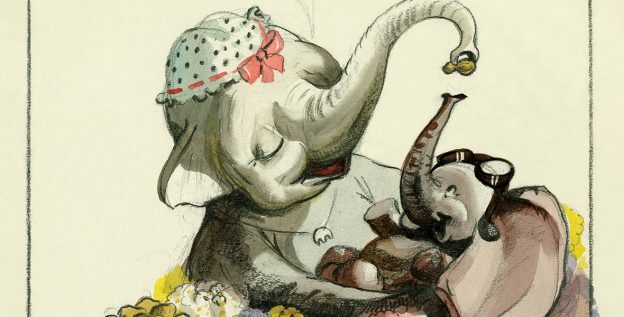 Dumbo is set to hit theaters on March 29, 2019.